Party time! Who's ready? Um...yeah no one. That's why it's time to figure it out. It's that time! Ok, if just for a moment let's pretend it's not stress inducing, freezing cold, madness. Let's only focus on the fact that you have tons of reasons to dress up, yay! 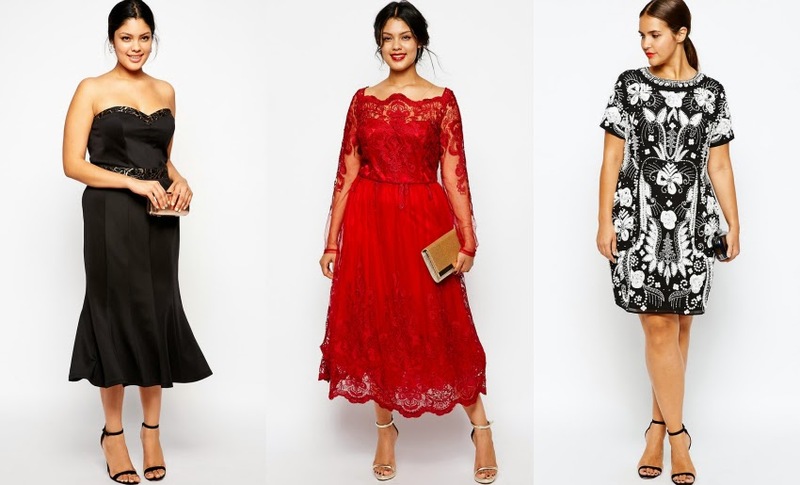 ASOS Curve has an incredible assortment of affordable evening and cocktail dresses for fancy shmancy parties. I find evening wear the most challenging. The plus size options can be a bit matronly but these are so chic. There's a lot about holiday 2014 that's looking fab to me but this is a great place to begin.